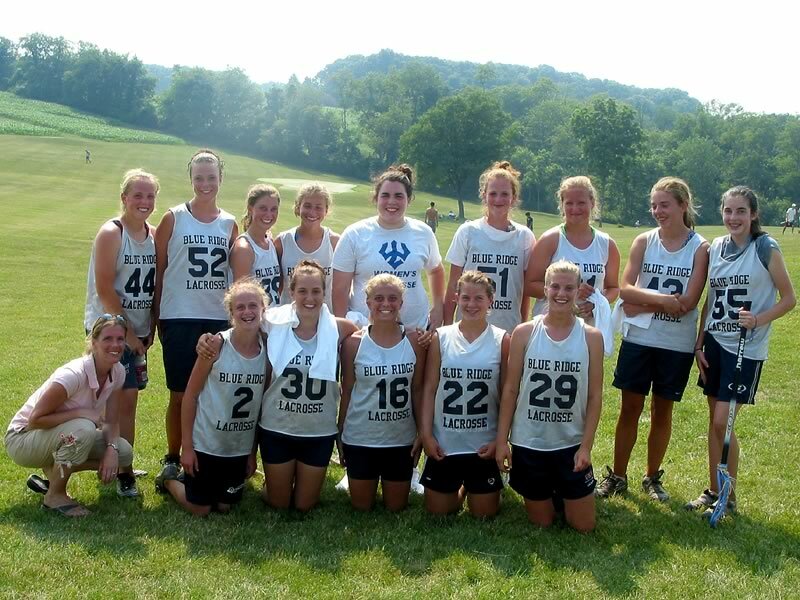 The Blue Ridge Lacrosse Club is a girls developmental lacrosse program based in Charlottesville, with a goal of improving the level of instruction and exposure for female lacrosse players. The Club consists of three teams: a middle school team (rising 5th-8th graders), and two high school teams (rising 9th/10th graders and rising 11th/12th graders). Team selections for the Blue Ridge summer season will be held at Western Albemarle High School on May 12th for the middle schoolers and May 12th & 13th for the high schoolers. The middle school team selections are from 10am-11:30pm and rising 4th-8th graders are eligible to play. ALL players will be placed on a team! Registration is from 9:30-10am and players must bring their US Lacrosse membership number to register. Memberships can be attained at www.uslacrosse.org. Directly after team selections from 11:40-12pm, there will be a parent/player informational meeting where the coaches will hand out and review the schedule and tournaments and answer questions. Club fees are due at this time and are $160.00. As previously announced, the Blue Ridge Lacrosse Club will hold team selections this Saturday, August 26th at Western Albemarle High School in Crozet. Selections for girls in middle school (rising 5th-8th graders) will run from 12 Noon to 1:30pm; a parent/player/coach meeting will commence at 1:30pm and 2:00pm. Selections for high school girls (rising 9th-12th graders) begins at 2:00pm and runs until 3:30pm, with the parent/player/coach meeting scheduled from 3:30-4:00pm. The Blue Ridge Lacrosse Club will hold team selections on Saturday, August 26th at Western Albemarle High School in Crozet. Selections for girls in middle school (rising 5th-8th graders) will run from 12 Noon to 1:30pm; a parent/player/coach meeting will commence at 1:30pm and 2:00pm. Selections for high school girls (rising 9th-12th graders) begins at 2:00pm and runs until 3:30pm, with the parent/player/coach meeting scheduled from 3:30-4:00pm. It is very important that players and parents are able to attend the parent/player informational meeting, which will include registration, review of schedule, tournament sign-ups, question and answer session. Fees will be due at the meeting. Players should be prepared to look over the schedule and be ready to sign-up for tournaments. All members of the Blue Ridge Lacrosse Club must be members of USLacrosse. Participants: please have your US Lacrosse Membership Number with you. If you are not able to attend team selections, but would like to play for BRLC, contact Jennifer Harris at: jenniferball@earthlink.net or 434.566.1056 and she will arrange for you to get all of the required information. While they’ve been around a while, the Blue Ridge Lacrosse Club is the latest addition to cville-lax.com. They are a girls developmental lacrosse program based in Charlottesville, with a goal of improving the level of instruction and exposure for female lacrosse players. The Club consists of three teams: a middle school team (rising 5th-8th graders), and two high school teams (rising 9th/10th graders and rising 11th/12th graders). All who come out to play will be placed on a team. Times for team selections will be announced soon. After teams are selected, there will be a meeting for both parents and players to review the schedule and expectations and to fill out the appropriate paperwork. The BRLC practices every Sunday in the fall at Western Albemarle High School on 250W south of Crozet. The middle school team practices from 12:30-2:00pm and both high school teams practice from 2:00-4:00pm. The Club travels to several tournaments throughout the fall to compete against other clubs; it also assists in the recruiting process for those players who are interested in playing at a higher level. All players must be members of USLacrosse. Each player must have their US lacrosse membership number at team selections. For more information, contact Coach Jennifer Harris: jenniferball@earthink.net or 434.566.1056.